I'm sorry it's been so hectic the last few weeks BUT we have 4 AMAZING lines coming out next week at CHA. We've added a new embellishment this time around our Bag of Bits which are die-cuts printed on 80lb Cardstock. I love the variety of shapes and sizes. And I'm so excited for our brand new booth! We will have some awesome make-n-takes each day so come see us in booth 1690 if you are going to be attending. Leave us a comment about Handmade no later than Tuesday 1/24 by noon MST to be entered to win this entire collection. Oh my gosh, such an amazing layout! I love the lettering to the left of the photo. Looks like a really great collection! I love them all and can't wait to see what else is new! And I do like the journaling cards!! Thanks for sharing. I love the quilt look to this line! So wonderful that the patterns are small prints - so easy to work with/mix and match, and great mix of colors too. The Bag of Bits looks like a great addition to your lineup - nice to have some other embellishments to accent our projects! I won't be at CHA, but I'm so thankful for the chance to win. Can't wait to see your other lines soon! Love it! The colors are fabulous and I love all of the patterns and embellies! So gorgeous! These are beautiful colors and patterns. Love the small prints... they can easily be layered! Wow! Beautiful collection. Love the soft colors and great new embellies. What a gorgeous collection! Love the beautiful colors! Thanks so much for the chance to win! Oooh, it's adorable!!! Must. have. it. all!!! Oh my goodness, oh my goodness, oh my goodness! LOOOOVE it! 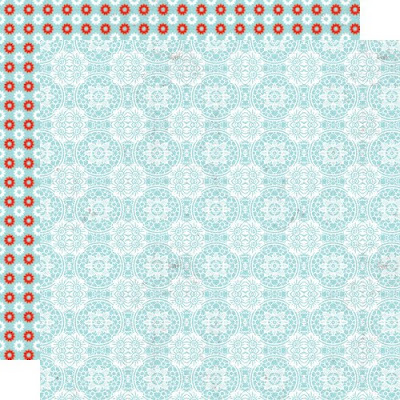 Love the new colors of Stationery to go with it and those patterns... perfection. Oooohhh...I love this line! The layout is fabulous too!!! 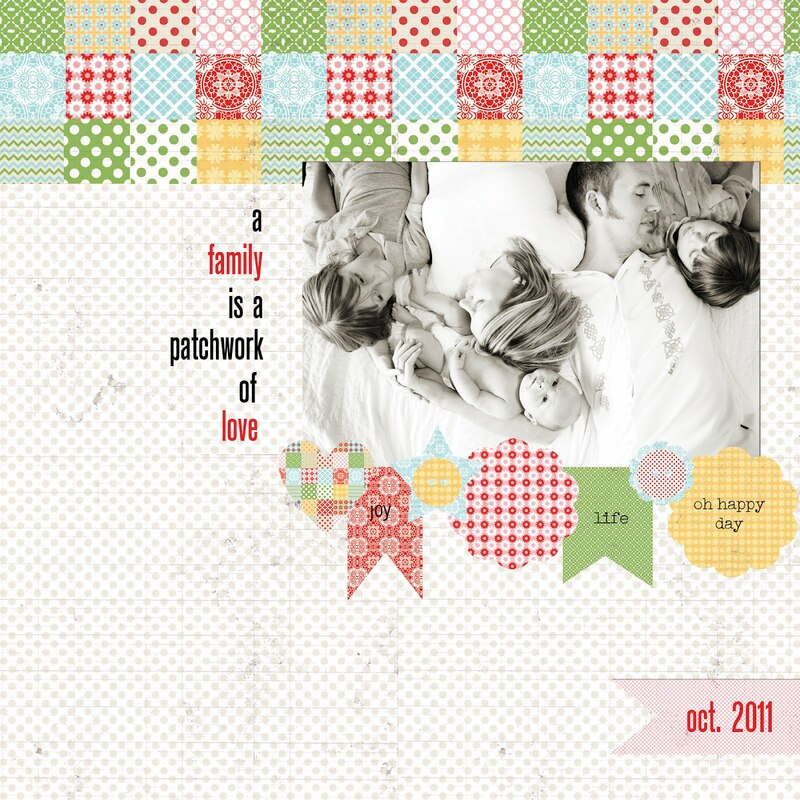 This is super lovely and that layout feature with the patchwork is simply divine. Thanks for the chance to win. My local scrapbook store does not stock your line, which makes it more difficult for me to get hold of. And just simply look at what they are missing out on!!! this collection is so lovely! I love the colours and that patchwork pattern! oh yes...this will be mine....LOVE IT! I love it! Great colors and very versatile patterns. Can't wait to see more! Lovely! The addition of the bits is great! Love it all but the journaling cards are my favourite. oh my gosh!!! this is so super cute! love the new journaling cards ;) can't wait to see more. Lovely colors. 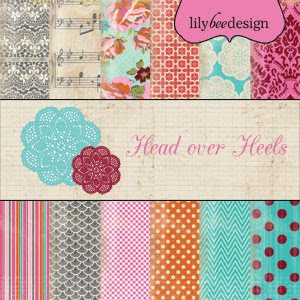 I`m really starting to become a Lily Bee fan! OOOh I really like the new die cuts! Very nice! Love the mix of colors and patterns. How versatile is this collection! Ohhh, this is lovely!! All the various patterns and colors. love this one. simple, colorful, cheerful. My kind of paper! This is a great line -- especially love the colors. The stamps are a must on my list. Can't wait to see the other releases. Very cool first sneak! Love the new Bag of Bits! Can't wait to see the other 3 new releases! 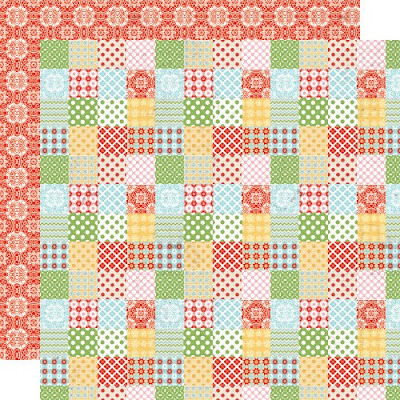 I like the cheery colors and the homespun feel of this line. Thanks for the chance to win! Wow ~ the colors are just beautiful!! Oh, I just love the colors and patterns. So sweet. 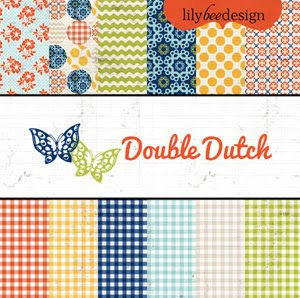 And I love the title too, it really does remind me of calico fabrics for quilts. Can't wait to see the rest of the new stuff! Love Love LOVE these prints and colors!! Wowzer!! Have fun at CHA! Oh My!!! I need all of this!!!! I love the handmade collection, the prints, dies, stamps, stcikers, etc, It's on my list! So cute...I love the small prints, they are always perfect for photo mats etc..so they they keep with the theme. I love the grunge/distressed look of the three solid colors too. Thanks for sharing. LOVE LOVE LOVE this!! THat layout is amazing! Lovely collection!!! I'm in love with the beautiful colors and patterns! Beautiful colors!!! And I love all of those alphas and the journaling cards too!! 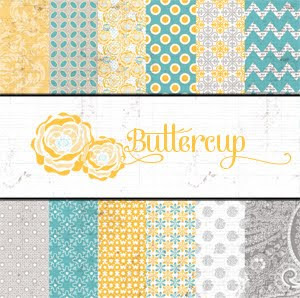 I am a quilter and this collection screams to me- awesome!! Must have those index cards and the new alphas to add to my collection! Oh, wow! This is lovely!!! I can't wait to get some of these papers especially!! Gorgeous!! Love the papers, and those journaling cards are awesome! be still my heart!!!!!! if the rest of your lines are as gorgeous as this i am in serious trouble! This reminds me of a warm comfy quilt! I love it! Oh I love this line!!!! The patchwork is a beauty! What a pretty collection - LOVE the green in there, and the journaling cards and banner stickers. Great job! LOVE the soft colors and those embellishments! oh, what utter gorgeousness!! I love all the tiny, lacy patterns! Wow... I just love this new line of paper. Can't wait to see the other 3! Absolutely beautiful!! This is the first CHA line that I'm excited about!! LOVE this line! 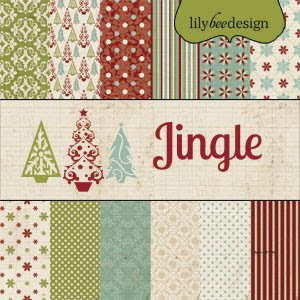 The colors and patterns are lovely and I need the die cuts and journaling cards for sure. LOVE LOVE LOVE this wonderful collection! What a great collection! The colors are awesome! Cannot wait to see the other collections! Thanks for the chance to win it! I love the colors of the Handmade collection! Love the colours of this collection! This is a great line. I love the look and color of this collection! WOW!! I LOVE this one!!! love it!! LOVE this collection, such a cozy homey feel! BE still my HEART what an awesome collection! This is just the first collection can NOT wait to see more! Adorable lo! This is such a sweet line!! LOVE this line! The bright colors and quilty textures are just great! LOVING these colors! Beautiful collections! I love the quilted 12x12 print. The journaling cards are delightful! Oh this is so me! love this line! This is a fantastic collection!! I love it!! Bag of Bits is really a great addition! Love the patterns and colors...everyone could use this line! This is just a fantastic collection! The colors are awesome and I LOVE all the polka dots!! 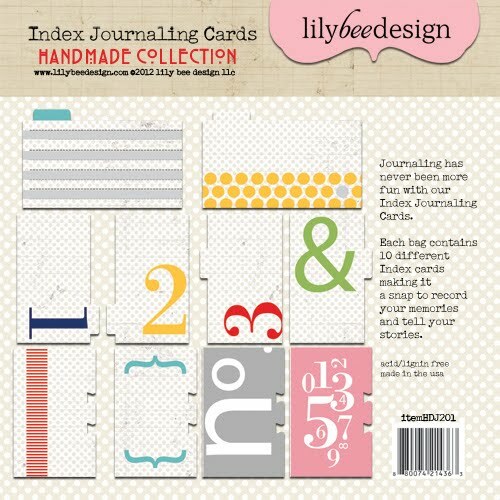 Love this collection, especially those adorable journaling cards!!! Oh.my.gosh...I LOVE this line!!!! Beautiful! 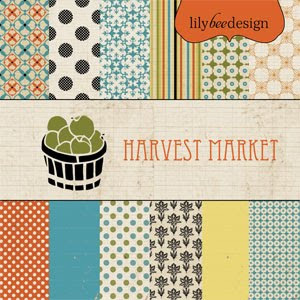 The color combo, the handmade theme, the prints...just wonderful! I love your banner stickers. I think this may be my favorite release I have seen so far for this CHA. Great work, Lily Bee! This is beautiful! Love the vibrant colors and great graphics! What a great collection! Love the stamps! love the journaling cards, and I can never get enough of your stickers! So pretty!! I love the lettering you used in the stamps, and that you are doing 6x6 pads of the paper!! Oh my - it's LOVELY! I adore every single piece! I would be totally thrilled to win and have a chance to play with this divine collection! 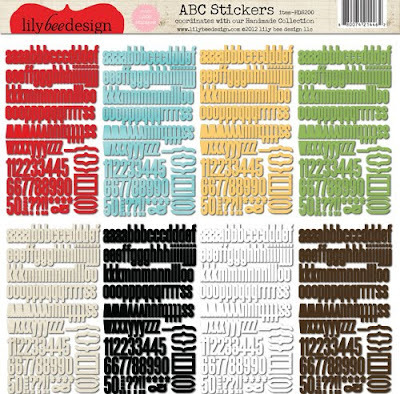 Beautiful papers and colors...love those alphabet stickers that come with the papers! love the journaling cards and the new letter stickers!!! WOW! Love the vintage fabric feel of the patterned papers. I will use this line to scrap about my grandmothers antique and very vintage Dresden plate quilt she gave me!!!! This collection is simply awesome! This is a wonderful collection! Try to buy every collection I can get my hands on...love that u added the new diecuts...can't wait to see the other goodies you have coming out...thanks for the chance to win...love you guys! Very cute! I'm looking forward to seeing everything in person next week at CHA! I am so in love with this collection the colors are just gorgeous. This is beautiful. The papers and journaling card are my faves! I love it! The journaling cards and the stickers are the best! Just beautiful! Love the colors! Love the pretty colors and NEED those notebook papers, at least 4 of each, can be more. A always- adore those letter stickers and banners! Love it! I love all of your goodies! The new embellies are awesome! There is so much that I love about this line, I don't even know where to begin!! BEAUTIFUL! The layout is great, I love the sentiment! This line is fabulous I love the colors! Just LOVE the tiny alphabets! Fresh and bright, finally a line that's sort of vintage (reminds me of quilts and doilies made by my grandmother) without black or brown distressing built in to the product (which we can do ourselves if we want to). I love the bright colors! What a beautiful, versatile collection. this is absolutely gorgeous!!! I love the patchwork!!! How adorable! Great colors, and just a touch of "vintage!" Oh Lily Bee!!!!! Y'all have been a FAVE of our customers and a personal fave of mine from your first collection!!!! LOVE the new Bag O Bits and stunning patterns!!!!! this is awesome!!! I love all the colors in this collection! Love the journaling cards and the colors are so HAPPY! So fun and fresh, love the colors! Neat designs! My favorite are the index journaling cards! The stamps are ADORABLE!!!!! I really need those. This collection is a definite winner! love those colors! What a great combo! oh my, it really is truly stunning! wow! love the look of this line. What a sweet collection. I love the old fashioned prints and gentle colours. Great collection! I love the index journaling cards! Thanks so much for the chance to win! The colours in tho collection are fabulous. Can't wait to get my hands on some! This is just so cute and loving the sample layout. Love the colors and all of the stickers!! Lovely! I can't wait to get my hands on this line - it's just fabulous! Wooow what can I say this is one of the most beautiful collections I ever seen I love EVERYTHING about it!!! oh my goodness, this is such a wonderful collection! This collection is absolutely beautiful!! Great colors, and I love the embellishments!! Love Love Love the journaling cards! I always love your lines and this one I think is one of my favorites!!! Beautiful colors and the new embellishments!! Love how the papers look like vintage fabrics..love the red check tablecloth one! 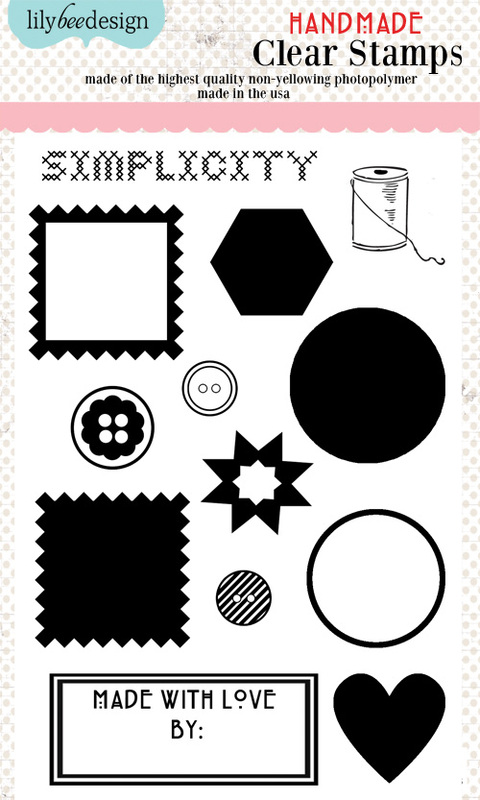 Great for my sewing themed album! so cute, i especially love the journaling cards! I love sewing themed crafty goodies. NICE choice. Wow - so beautiful!! I love the bag of bits and the journaling cards!! I really like this collection- I especially love the index journaling cards. 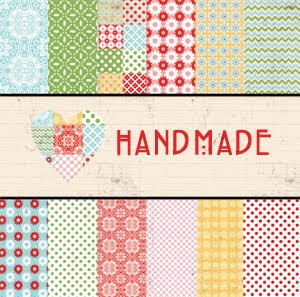 Handmade is really a beautiful, versatile collection! Loving the feminine patterns and colors. Those index cards are very cool! Thanks for the chance to win! Great layout and this collection is gorgeous! I love the soft color palette and the journaling cards! Love elements of quilting that are here and the soft, dreamy colours - another one for the wish list! Very cute line! Love all of the extras. Great collection! Beautiful color combination! Love it, my favorite new collection so far! Wonderful colors and patters! As always I love lily bee! Love, LOVE, love, that giant pkg of ABC letters!!! 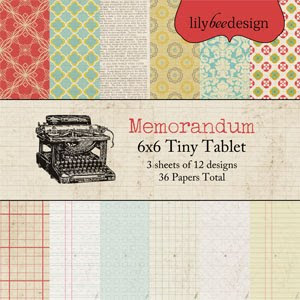 Beautiful collection - will definitely need the 6X6 paper pack! I absolutely love the colors and patterns from this line! Loving these colors and designs! Your 6 x 6 pads have become one of my favorite things to use. Oh I love the colours! What a great collection! Thanks for the chance! swoon !!! I love the bright colors and the addition of those fun shapes...oh and that "quilt" paper is amazing:) Thanks for the chance to win :) and I can't wait to see the other collections !!! oh WOW!!!! This is the first CHA release that I can say I want every single piece of it! Beautiful! The reason I love this line is because my grandmother is a quilter and I can already see the layouts I can make about her quilting for us over the years. Beautiful! I love the colors and the banner stickers. 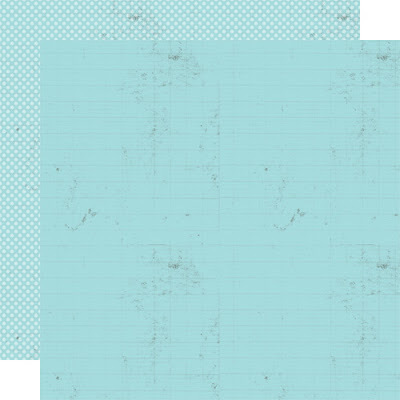 I really like the distressed look of the solid paper too! What a fabulous collection. 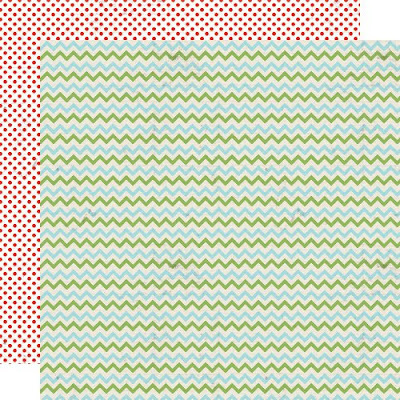 The patterns are fun and bright and perfect for boys & girls alike! loving the entire collection with the patchwork designs. esp like the jounaling cards. Awesome papers and i am in looove with the journaling tags!!! Such a great versatile line! 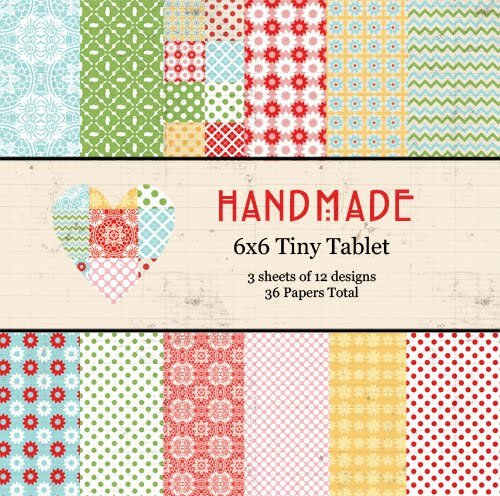 I love the journaling cards & the paper that looks like a patchwork quilt. Have been looking forward to Lily Bee peeks!! Can't wait to see the rest. Love this one! Love. Love. Love this collection! Love everything! This might be my fav CHA release! Beautiful! I love the color combos! I am just loving the index cards. Lovely! I totally love this collection!! Pattern papers are so beautiful!! love love love this!! such wonderful colors!! It all just looks like lovely quilted fabric. 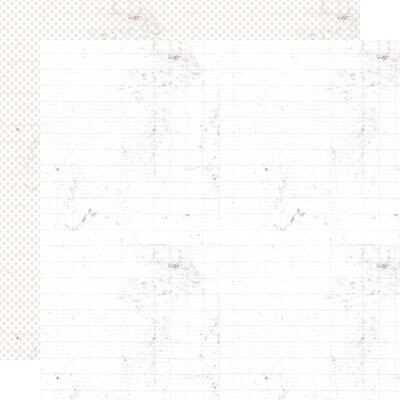 I especially love that white grid sheet! I love the classic and cozy feel of this line! Oh! How sweet! I adore the quilt feel to this new line. The colors are just pefect for so many projects. I love this collection and can't wait to see it released. I liked you on FB! This a gorgeous collection. I love the colour palette PLUS the Index Journalling cards!! I'm a FAN !! Wow, this is a gorgeous collection, thanks for the chance to win! Such pretty papers!!! Enjoy CHA and I hope I'll be the lucky winner. Love it all! 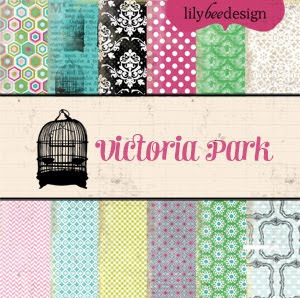 This is such a versatile collection, great for both card-making and scrapbook layouts. So many possibilities! Thanks for the sharing and for giving us the opportunity to win this collection. Oh my goodness !! Love this line and the journaling cards are fabulous. Did I mention that I love the stamps? Can't wait to see this in person. Thank you for the giveaway! Love the colors in this collection. The alpha stickers and the banners are great additions to this line. Glad to have a chance to win this. love the softness of the colors - would work also as a baby line! I am in Love!!! This is my favorite CHA release this year! Love the patchwork pattern and the pallett! Gorgeous! My fave is the lace paper in the tiny tablet- cute. Also really like the colors used. Wow, this is such a beautiful collection!! I really love all the pinks and blues.. I love the quilted feel to this one. The journaling cards are especially delightful! So so sweet! Love it!